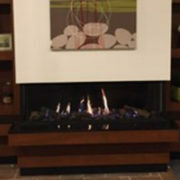 All custom woodwork is Handcrafted by Rettinger Fireplace Systems in our in-house production facility, which means you’re supporting local craftsmanship while adding a one-of-a-kind custom feature to your home. 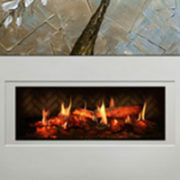 When it comes to the finishing touch to your fireplace, our creativity, flexibility and execution makes Rettinger Fireplace Systems stand out as an industry leader in mantel and cabinetry design. 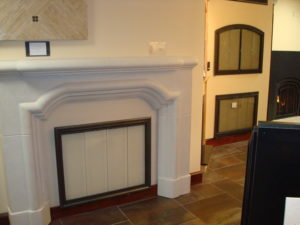 Our on-site custom mantel manufacturing facility employs master craftsmen capable of creating exactly what you pictured in your home. Whether it’s oak, maple, cherry wood or custom bookcases, cabinetry or pocket doors to disguise the television, the possibilities are endless. 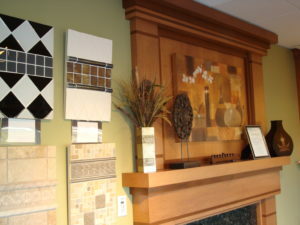 Browse our gallery or visit our showroom to view some of the latest designs of custom fireplace mantels and cabinetry trends in the industry. Another way to see thousands of examples of our work is to visit our social media sites Pinterest & Houzz where you’ll find dozens of ideabooks. When you’re working with Rettinger, you’re not limited to a finite catalogue of options. On the contrary, the world of designs becomes available to you via seasoned Master Craftsman and a state of the art production facility. Bring your ideas to us, no matter how big or small. 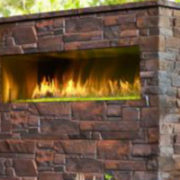 With our advanced production facility and master carpenters, Rettinger Fireplace specializes in making your cabinetry design ideas come to life. Have you seen a design online or in a magazine that fits the bill for your concept? Bring it to us, and let our expert sales staff and custom shop guide the process from concept to completion, inspiration to installation. We will work out the details and make sure that your vision becomes reality. We pride ourselves on being able to work with you to create the one of a kind style that is all your own and bring out the full potential of your design. 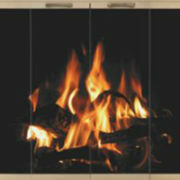 Rettinger’s keen attention to the smallest details will have you in awe at how majestic a fireplace can truly be. Easy Project Management Service: Less contractors means less room for confusion. 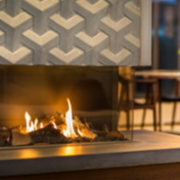 When your fireplace guy is also your finish guy, you can be assured that the job is getting done correctly and in accordance with the installation manual. 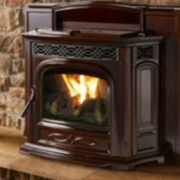 Every fireplace has different installation requirements regarding clearances, framing, noncombustible specifications, etc. We take all of this into account and work out the specific details with precision and accuracy, after all our motto is “Where Details Make the Difference!” Additionally we are committed to providing outstanding customer service throughout the entire process. With Rettinger, you will be happy to have us on your team making sure the installation goes right the first time. 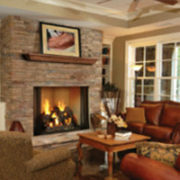 Rettinger’s proudly provides start to finish mantel and cabinetry installations in Camden County, Cape May County, Atlantic County, Gloucester County, Burlington County, Cumberland County, Ocean County, NJ and Philadelphia / Mainline, PA.